You’ve probably heard the term “nutrient density,” but how do you know if you are eating the right mix of foods to achieve your specific nutrient needs? Since everybody is unique, is there really a way for us to know what nutrients we specifically need? Today we talk with Chris Masterjohn to discuss the concept of nutrient density and how to incorporate that knowledge into your daily food choices. I’m eating all the right foods. Why should I be concerned? You’re not a probability, you’re a person. Chris Kresser: Chris, it’s such a pleasure to have you back on the show. Chris Masterjohn: Thanks for having me, Chris. It’s great to be here. Chris Kresser: One of my earliest guests, I think this is number three or four appearances, right? Chris Masterjohn: This would be number four. Chris Kresser: Number four, awesome. So we’re going to talk about something a little bit different today, but obviously well within your wheelhouse, and I’m really excited to discuss it. Last week I was asked to give a talk at the UCSF Osher Center for Integrative Medicine, and they wanted me to talk about supplements. But I told them that in order to talk about supplements, I needed to spend the first 90 percent of the talk discussing important concepts like nutrient density, why it’s important to get nutrients from food whenever possible, and what the nutrients are that we should be thinking the most about. It occurred to me that even though I have talked about nutrition for years, we’ve never really had that specific discussion in depth on my podcast, and when I thought of somebody that I wanted to have that discussion with, you were the most obvious choice because this is something you spent years and countless hours of study on, both personally and professionally over the past decade. I’d love to do a really deep dive here on nutrition, meeting nutrient needs from food, the concept of nutrient density, and then more specifically how the average person can figure this all out because it can be really confusing, and they’re not going to get the answers they need if they go into their doctor in most cases. Chris Masterjohn: Absolutely, sounds great. 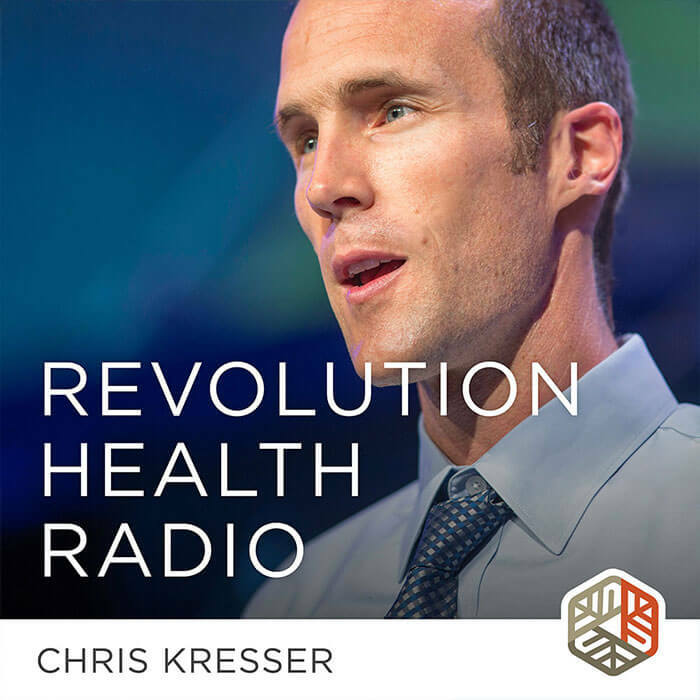 Chris Kresser: Let’s start with somebody who might be listening to this and thinking, I eat a nutrient-dense, Paleo-type of diet or Weston Price-style diet. Why should I be concerned? I’m eating all the right foods. I’m meeting my needs for nutrients, so do I even really need to pay attention to this? Chris Masterjohn: Yes. Well, I think that’s kind of the point of eating that way, is that you want to do whatever can bring you closest to not having to care about it in as simple a way that you can integrate into your life as possible. We eat that way in large part because that way of eating is the way that focuses on the right mix of nutrient-dense foods that should make sure all our nutrients are there. The thing is, you have to consider two things. One is just from a theoretical standpoint, is that actually guaranteeing you that you’re meeting all your nutritional needs, and then also, what is your experience like? Because if you’re coming to this eating this way and having zero problems in your life, no problems with your skin, you’re incredibly youthful, you’re incredibly energetic, everything’s going right, well, that’s one thing. But if you’re coming from this and you are always a little bit more tired than you think you should be or your skin is a little bit flakier than it should be or you’re getting wrinkles a little bit earlier than you thought you would, or God forbid something even greater, like you had a heart attack and you’re only 47, then of course you should care because there are things that you have not fixed yet no matter what that theoretical framework is. If we go back to the first part of that, the theoretical framework, first of all, we are trying to do what is ancestral, but we are doing that from (a) imperfect knowledge of what is ancestral, and (b) imperfect resources. To take something, a really simple concept, like our ancestors ate nose to tail, well, what does that mean exactly? Well, in the modern incarnation, it means I try to eat liver once a week and I try to make some soups out of bones, and so I’m using the whole animal, right? Well actually you just used a couple pieces of that animal that we did and our ancestors either because they knew it was important or economic necessity or both, utilized most of the animal that they could, and so they got a totally different balance of nutrients by incorporating the different organ meats. But fact be told, we don’t really know exactly how often they ate liver. We don’t know everything about did they eat the liver of this animal versus that animal and what mix. There’s a lot of things where we’re relying on what people have passed down to us from studying certain groups for a couple of months and trying to understand what they understood, but there’s just a lot that we don’t know. Then you get actually into the kitchen and the question is, are you really eating nose to tail? Did you actually eat the heart also? Did you eat the kidneys? There are a lot of different nutrient profiles in those organs and none of us are really eating nose to tail. We’re just trying to incorporate what is easy and simple out of the nose-to-tail concept. If you look at an animal carcass, about half of it is probably collagen. Are you really getting that half of your protein from collagen because you’re making gravy and soups out of bones? Probably not. You can eat bones, you’re getting way more of the collagen and proteins, way more of the minerals when you’re … like the Inuit, for example, they would take fish bones and freeze dry and pulverize them. They didn’t soak them and get whatever leached into the water, they ate the bones, right? Chris Masterjohn: There are many traditions that we’re only imperfectly carrying out, and that’s one part of that framework. Chris Kresser: There are other issues, like for produce, where we’re now eating domesticated, genetically modified, not in the sense of scientifically or with modern technology genetically modified, although there is that too, but just engineered by humans over many generations to be sweeter and have a different flavor profile and they’re far less nutrient-dense than their wild ancestors, right? Chris Masterjohn: Absolutely. And not only that, but on top of that, just transportation of food causes a huge nutrient loss and loss of flavor profile. I mean, this is a major problem for the food industry that they’re trying to solve that whatever breeding they’ve done to make the foods have a sweeter flavor or enrich this or that, the fact is that they can’t harvest fruits, including some culinary vegetables like tomatoes, they can’t harvest these foods when they’re fully ripe because they will be bad by the time people buy them. They’re actually harvested at a time that is not ideal for the flavor profile or the nutrient density. You can eat all those same foods, but because of the soil or because of the transportation or because when it’s harvested, you’re losing out on a lot of those nutrients, and we only have a partial grasp on to what extent is that for all the different foods. The other leg of that is, who are you? If we’re trying to eat ancestrally, we’re drawing from all these different ancestral groups, but some of our ancestors or some hunter–gatherers that weren’t our direct ancestors personally all these different groups were in specific environments that caused them to evolve genetically in ways that changed the nutrients that they need. If you look at the Inuit, for example, they have genetic adaptations and cultural adaptations to the arctic environment. They have different needs for vitamin D and calcium than most people with ancestry from Europe do, for example. You can then say, well you could try to think about it like, “Well, I’m just going to eat like my European ancestors did.” But first of all, do you really have like a monolithic ancestry to one part of Europe? Probably not. I know I certainly am mixed. Most of us are pretty mixed. But then even still it’s always the case that within each of those groups there’s a lot of variation between individuals so that group adapted to that environment to best support those people on the whole, but it’s still the case that different individuals in any population are going to have varying nutritional needs, and so who are you as a person, and what are your nutritional needs? That we can only be going to test with the genetic testing that’s available to us. For the large part, it’s only going to be our cumulative experience that is going to allow us to fine-tune our diet to our own needs. Chris Kresser: It’s so important for people to understand, and there are so many other factors too that we haven’t even really touched on yet. One of them that I mentioned in my talk was just the increase in the incidence of health conditions that impair nutrient absorption and assimilation. SIBO would be a great example of that. I constantly see patients in my clinic who are following a Paleo or other kind of nutrient-dense diet and yet they’re still deficient in nutrients. They have SIBO, we treat their SIBO without giving them any change in their diet or giving them any supplements and those nutrient levels return to normal. That’s just one example, but there are so many other examples of conditions that impairing nutrient absorption. Then we have things like changes to the microbiome. We know that our gut bacteria play a large role in nutrient absorption and assimilation as well. It’s really kind of mind-boggling when you start to consider all the factors in the modern lifestyle that affect us. Chris Masterjohn: Definitely. Even outside the gut. Chronic inflammation, just as one example, increases the degradation of and the need for vitamin B6. Chris Masterjohn: And so it doesn’t matter if that inflammation is coming from the gut or from something else. It’s going impact your nutritional needs even after you’re absorbing the B6 that’s relevant. Chris Kresser: And obesity and inflammation decrease the conversion of sunlight to vitamin D and decrease the absorption of vitamin D. And then we have environmental toxins like heavy metals that interfere with nutrient absorption and assimilation. Chris Masterjohn: And nutritional impacts on being able to deal with those heavy metals too, like arsenic, for example, is primarily detoxified through methylation, so arsenic sapping your methyl groups. But if you don’t have enough methyl groups, that arsenic is accumulating and poisoning other metabolic pathways too, so it’s a two-way street, or more than a two-way street more often than not. Chris Kresser: Right. So, I can hear some listeners throwing up their hands and saying, “F*** it. I’m not going to pay attention to this anymore. I thought I was doing all the right things.” Don’t do that. It is true that we have a lot of challenges, but we’re going to talk about an incredible document that Chris has put together, a Nutrient Cheat Sheet that I’ve been using in my practice and all the clinicians have been. It’s really super helpful for helping you get your head around this in a number of ways. We’ll come back to that later, so there is a path forward. Don’t despair. But it is important to realize that just eating a good diet isn’t necessarily enough to insulate you from all of the considerable challenges that we face in this modern world that we live in. With that context, Chris, maybe let’s move into some of the primary nutrients of concern. We hear a lot all the time about, of course, the basic vitamins and minerals, but then a whole bunch of other phytonutrients, antioxidants, and when I did the talk at UCSF, there was so much confusion about what … there are people who are taking all kinds of different supplements from things you’ve never even heard of that they read about on the internet to, of course, the more basic vitamins and minerals. If someone is wanting to take the next step and focus their efforts, where do they start? Do we start with the basics, or do they think about these more exotic kinds of substances which are very popular right now? Chris Masterjohn: Well, I think that however you start, you want to be comprehensive in some way. If you wanted to be truly comprehensive, then you would do a comprehensive lab screening. You would do a comprehensive dietary and lifestyle analysis. You would do a comprehensive signs-and-symptoms checklist, but what kind of resources you have at your disposal really has to dictate what actually makes sense for you. At this point in our juncture—and I’m sure you have more experience than I do with this—but it’s my impression that the average person is not going to be able to run all of the best tests without paying out of pocket for most of it. Chris Masterjohn: And if they are paying out of pocket for most of it, the average person for whom it is important to understand this stuff cannot afford to do comprehensive lab testing paying out of pocket initially. Chris Masterjohn: And so, I do know some people for whom that is the best initial approach, but that’s not the average person. For most people, the resources that they have, I think all of us feel strapped for time, but that’s a matter of priorities. All of us could say, “I’m going to put … I’m going to re-prioritize what I’m doing this week, and I’m going to put the effort into cataloging the food that I see where it matches up in a nutritional database. I think that can be one of the most helpful places for people to just start with this, and if you’re doing something like that, maybe you have other tools that you use. What I would be doing is, I’d use Chronometer, which is a smartphone app where you can plug in all the foods that you’re eating and it will tell you how you’re matching up to the recommended daily values. That doesn’t tell you everything because your needs might be higher or lower than the recommended daily values, and also the food that you’re eating may be higher or lower in nutrients and whatever’s in the nutritional database. But it gives you a starting place to assess probability because if you don’t have … I mean, you may discover from that, “Wow, my dietary selection is leading me to get 10 percent of the RDA for vitamin B1, and everything else looks good.” Suddenly, that’s a major clue that can point you in the right direction. But then the other thing that you can do is catalog your signs and symptoms, and anyone can go plug their food into a nutritional database. The signs and symptoms are a little bit harder. That’s where I think one of the places where the cheat sheet that I produced comes into value because I’ve cataloged together in alphabetical order all the things that you can look through and then trace it back to those nutrients and their probabilities, but if you can do that, then you can say, “Well, my signs and symptoms match up to vitamin B1. So does my diet.” Suddenly, you’ve put maybe a few hours of time into this, and you’ve gotten on a lead that has led you to this one particular nutrient, which no one else was talking about. A lot of people are talking about vitamin D, and that may well be your top problem, but you don’t want to be at the mercy of what everyone else is talking about. You don’t even want to be at the mercy of whatever the highest probability nutrient deficiency is because you’re not a probability, you’re a person. I think it’s useful to say, well, in my consulting I see zinc deficiency coming up as much more common than these other things. It makes sense to have that discussion, but at the end of the day, for you as an individual, it’s much more valuable to look at your own diet, lifestyle, and signs and symptoms to see what’s most probable for you. Chris Masterjohn: Ninety-eight percent don’t get enough potassium. Chris Kresser: Right. This is a partial list, and there are others, as you pointed out, that aren’t on this list, but suffice it to say that a majority of Americans, and sometimes almost everybody, are not getting enough key nutrients and minerals and not enough as defined by the RDA. Let’s talk a little bit about the RDA and what some of the problems with the RDA are because if they’re not even getting enough RDA and the RDA is not sufficient, what does that mean? Chris Masterjohn: I don’t think the RDA in and of itself is problematic conceptually, and I think that there is a misperception in a lot of the alternative health community that the RDAs are established just to prevent diseases of nutrient deficiencies that no one gets anymore, and that’s not true at all. The RDA is … now, what they try to do is a comprehensive review of all of the science and figure out what is the best measure for optimal health. Now, that’s always going to be imperfect because number one, there’s a lot of disagreement on how to approach that. Ten experts can look at a study and come to the same study and come to different conclusions. There are philosophical differences on should you err on the side of getting a little bit more than you need versus a little bit less than you need if you’re trying to be optimal, and then there’s just the fact that the science evolves. Almost all of the RDAs that are currently published are years old. Even the vitamin D and calcium ones, which are fairly recent, are eight years old now, so there’s evolving research that has not been incorporated into a lot of the RDA. Some of them that we currently have are from the 1990s, and we could certainly say a lot about what studies have come out since then about maybe needing more than that value. RDA is not based on the principle that everyone needs to get the RDA; it’s based on the principle that we assume there is variation in nutritional needs, and the RDA is meant to capture 97.5 percent of those people. Even by its own admission conceptually, meeting the RDA for 2.5 percent of people will mean that they’re not getting enough, even according to the RDA. But there are also people who just don’t need the RDA because they’re lower. Chris Kresser: Yes. Way above the RDA. Chris Masterjohn: —minimum. Because what you don’t want is to meet your bare minimum needs and then get pregnant. Chris Masterjohn: —or then get injured, or then get sick. Chris Kresser: Right. No buffer. Chris Masterjohn: Then all of a sudden your reserves have no extra, and now your needs are twice as much and now your diet has half of what you need. I think that’s where the big divergence is between the ancestral approach and the RDA, is that the RDA is trying to capture those minimal needs and our ancestors were trying to eat as nutrient-dense an abundance as they could to cover all of those contingencies. Chris Kresser: Yes. That’s a great point. I want to expand on it a little bit and mention another one too. If the RDA is what’s required to avoid acute deficiency syndromes, they also don’t tell us what amount of that nutrient is required to avoid chronic problems, for one thing, much less what amount is required for optimal health, which is perhaps a different question altogether, and that’s what you were hinting at just now, I think. The other issue that we haven’t touched on yet is bioavailability of a particular nutrient. If you look at just a sheet of paper, a list of foods that contain certain nutrients … let’s talk about calcium just as an example of this. If you look at a list of calcium in foods, you’ll see that foods like collard greens and spinach are pretty high on the list. About a cup of collard greens has 268 mg of calcium, spinach has 245, and those are listed above, foods like bone-in and sockeye salmon with 188 mg of calcium. Somebody might justifiably look at that list and say, “Oh, I’m eating plenty of dark leafy greens so I must be meeting my calcium needs.” What’s the problem with that assumption? Chris Masterjohn: Yes. Well, the problem is those vegetables. Most plants accumulate oxalate as a way of preventing calcium concentrations from getting too high. It’s sort of like if your if your calcium level in your blood goes too high, you have hypercalcemia, and in humans we want most of our calcium in our bones and teeth, so that we can let it out into the blood when we need more and we can store it when we need less. Well, plants, they don’t have blood, but they have that same need to regulate their calcium levels, and so kind of like we store calcium in our bones, they store it mostly as calcium oxalate. But the oxalate levels in different plants are very different, and what you find is that in general, plants that have higher oxalate levels have much lower calcium bioavailability because that calcium oxalate just sits in your intestines until you poop it out, and spinach is a great example of that. The bioavailability of calcium from spinach is only 5 percent, versus 50 or 60 percent for most cruciferous vegetables. I don’t know what it is for the bone-in sockeye salmon, but in general from bone and from milk, you’re going to be absorbing a good 30 or 40 percent of that calcium. But the thing is, they did a study once where they fed people calcium oxalate pills, and they had higher calcium bioavailability than the calcium from spinach, so it’s not just oxalate. There is a pattern of things that are dictating how absorbable that calcium is, and we don’t actually know what they all are. We just know that we’ve done various studies feeding people foods and tracing how much of that calcium gets into their body. We know with specific foods that generally the cruciferous vegetables have pretty good calcium bioavailability, generally most other plants don’t, so from beans, for example, you’re probably absorbing maybe 20 percent of the calcium, from rhubarb you’re absorbing 9 percent, from spinach 5 percent. I’m not sure what collard greens is, but it’s probably pretty low. But even cruciferous vegetables, you would have to eat four and a half servings of broccoli to get one serving of milk’s worth of calcium, and that’s dividing a serving as a half a cup cooked. But if you’re trying to get three glasses of milk’s worth of calcium, that’s got to be … so four and a half half-cup servings, so it’s like two and a quarter cups of broccoli equals one glass of milk. You’re looking at seven cups, more or less, of cooked broccoli. That’s a lot. Chris Kresser: Good luck with that. Chris Masterjohn: —talk about getting it from spinach. The bioavailability is so low. If the bioavailability from spinach is 5 percent … first of all, if you eat that much spinach, you’re probably impairing your calcium absorption from your other foods, so you’d probably be better off just not eating the spinach. Chris Kresser: —calcium oxalate, kidney stones. Chris Masterjohn: Yes. Right, right. What happens to you when you eat 16 cups of spinach? Chris Kresser: Yes. And there are so many other examples of this. The zinc in animal products is much more bioavailable than zinc in plant foods. We know that heme iron is significantly more, which is the form found in animal products and is significantly more bioavailable than ferrous forms of iron in plants. You and I have both written a lot about this, and we can provide some links in the show notes for examples, but it’s one of the reasons why I have argued, and I know you have, that you can’t look at a vegetarian or vegan diet on paper, and look at the nutrient values on paper, and compare it to an omnivorous diet because of this key issue of bioavailability. Chris Masterjohn: Yes. I agree with that. 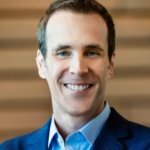 Chris Kresser: There’s one more thing that I want to cover, and you have educated me on this over the years, and I’m grateful for that, is the very important difference between precursor forms of nutrients and active forms of nutrients because that’s another mistake that people might make. You pick up a food label and you look at it and it says it’s got X amount of vitamin A in it, does that mean we’re meeting our needs for active vitamin A? Chris Masterjohn: Yes. This is a huge problem, and if you look at … so in plant foods, you’re getting carotenoids, and a portion of them are called provitamin A carotenoids, which means that can be converted to retinol, which is the form of the vitamin A that we physiologically need in our bodies. The problem is, even only on the basis of genetics, if we took a room with 100 people in it of white European ancestry, this varies depending on which group you look at, but if we if we took white, European-ancestry people and we just put 100 of them in the room, we could divide the left half of the room we could say, “Okay, you’re the good converters. You’re good at converting carotenoids into retinols.” The other half, everyone in that half on the right, would be at least twice as bad, meaning their conversion would be at least as bad as only half or lower of what the people on the left would be. But you could split that group in half, and the quarter on the far right, they’re four times worse than the good converters. We have a huge population that, on a genetic basis alone, cannot do anything about the fact that they are not good at getting vitamin A from plant foods. But then you look at the other things that can impact that conversion, and you’re looking at things like thyroid disorders, other nutrient deficiencies, for example, protein deficiency, zinc deficiency, vitamin E deficiency, conditions like oxidative, stress which we associate with the general wear and tear of aging, but also many disease states. Most chronic diseases involve oxidative stress, GI problems like parasites, for example, or other absorption problems but even what type of fat you eat. If you eat those foods with corn oil or any other highly polyunsaturated fat, more common now would be soybean oil or canola oil, you’re getting significantly lower vitamin A yield than you would get if you were eating them with more traditional fats like butter or olive oil. There are so many factors than the genetics you cannot control. Many of those other factors you can. You can control what type of fat you eat, but you may have hormonal disorders or GI disorders and not even know about. It’s almost impossible to know for sure which camp you fall into, and in my opinion, really everyone as a basic insurance policy should try to meet their basic needs for vitamin A from retinol. To me that means eat liver once a week if you can stomach it, alternatively take cod liver oil as a daily supplement, make sure you have some eggs in your diet, maybe dairy products, if those work for you and then you can pile on the colorful vegetables, but you don’t want to be at the mercy only of the colorful vegetables. Chris Kresser: Right. You mentioned this, but I want to highlight it. It’s this concept of nutrient synergy, where the conversion pathways from these inactive or less active forms of nutrients to the most active form require other nutrients for that enzymatic conversion to occur. If you have any deficiency of those nutrients—vitamin K is a good example of this, and then alpha linolenic acid, which is converted eventually into EPA and DHA. Some studies show that one half of 1 percent of ALA gets converted into DHA. You see vegetarians or vegans claiming that they don’t need any DHA because they can just consume flax oil, I remember doing a calculation of the amount of flax oil that they would need to consume in order to get the DHA, and that was assuming no deficiencies of nutrients that are required for all those conversions and not taking into account the amount of omega-6 in their diet, right? Chris Masterjohn: And genetic variations in those enzymes as well. Vitamin B6 is another one. In plant foods, you get pyridoxine, and the form that we require is pyridoxal and if eat plant foods, not only is the bioavailability poor because the pyridoxine is often bound up with other things in the plant food, and your ability to harvest that is actually dependent on your gut microflora, but once you get that pyridoxine in, your liver has to turn it into pyridoxal with an enzyme that requires vitamin B2, riboflavin. You’re assuming that you absorb it in the first place, which is a big question mark, but then your liver has got to be healthy. You have to have enough vitamin B2, and there are also genetic variations in that enzyme as well. They’re not studied well like they are for vitamin A, not even as well as essential fatty acids, but we do know that the genetic variations exist, so that’s just one other example there. Chris Kresser: I think we’ve pretty well established now what some of the challenges are. Chris Masterjohn: Why should you care? Chris Kresser: For the four people that are still listening to this podcast haven’t just given up. Let’s talk a little bit about supplementation and why just taking—at least this is my opinion, I’ll be curious if you agree, I have a feeling I know partly what your answer is—why not just take a multivitamin and just call it a day because it’s so complicated. There are so many things to consider and why not just head down to Costco and get a multi and get on with your life? Chris Masterjohn: Well, I’m not necessarily against the basic principle of a multivitamin. I mean, it does make sense from the perspective of trying to cover all your bases, but the multivitamin kind of has all the problems that we were talking about from the beginning of why the nutrient-dense diet isn’t a guarantee of anything. Everything that we said basically applies to that multivitamin in terms of do you know what your needs are, do we know for sure what the optimal amount is, and things like that. But do you actually introduce other problems? Which is, for example, there are many other things in foods that are critically important that cannot be in the multivitamin, like 98 percent of Americans don’t get the RDA for potassium. No one gets any meaningful amount of potassium from a multivitamin because you can’t provide in there. There are nutrients that we need in amounts that cannot be put into multivitamins. There are also laws restricting potassium supplements because it can be dangerous for certain populations. Chris Kresser: Ninety-nine mg is what they usually contain, and the average ancestral diet, I think, has 1,500 or something. Chris Kresser: Geez, those aren’t common at all. Chris Masterjohn: Yes. Things that are very common. Chris Kresser: Yes. And I want to mention calcium here too because so many people are taking calcium supplements, and it’s so important to get this word out. I explained this in detail in my talk, and you could just see everybody’s jaw dropping in the room because there were a lot of people that were middle aged or even elderly in the room, and I asked them to raise their hands, and 75 percent were taking calcium supplements. Calcium supplements have a very different impact on our physiology, and dietary calcium, this has been well-established in studies that dietary calcium reduces the risk of heart disease, reduces the risk of kidney stones. It’s been associated with lower calcium scores, of course, which reduces the risk of heart attack, but calcium supplements not only don’t have that benefit, they actually have the opposite effect. There are so many studies that show that people who are taking 1,000 mg of calcium have 140 percent higher risk of heart disease, higher risk of kidney stones, etc., etc. It’s really important not to make the assumption that the nutrients you get from supplements are going to have the same impact as those that you get from food. Chris Masterjohn: Yes. At least part of that is a result of the dose because we have a lot of people who are drinking three glasses of milk a day and are already consuming enough calcium, and then because they’re in a certain population, like they’re elderly, for example, they’re being told that they need more calcium, and they’re adding a gram on top of that, and they’re just really overdoing the dose. Part of it is also the form. Calcium carbonate is the most common calcium supplement because it is the cheapest one, and a lot of people in the alternative health, particularly in the supplement-oriented, people understand that the bioavailability of calcium carbonate is not that great if you have low stomach acid. But the real thing that most people, I think, don’t understand is that the carbonate in it has an alkalinizing effect, and we’re seeing an increase in people with calcium alkali syndrome, which is a very severe problem of hypercalcemia and alkalosis that puts people into emergency care, and it’s because of the combination of the high-dose calcium supplementation along with alkalinizing agents. Just taking calcium carbonate increases that risk a lot, but then a lot of these other people are taking Tums and other antacids and other stuff that are aggravating that. I think the increased risk of heart disease is probably reflecting a lot of those things, but then there’s also just the fact that when you’re taking a calcium supplement, you’re getting the dose all at once because you’re absorbing it a lot faster, so you’re a lot more likely to have transient hypercalcemia. For most people it’s like you do everything that you can to get it from food first, but if there’s something really barring that, then I do think there are cases where a supplement makes sense, but you want to choose the right form and you probably want to take that at the end of your meal rather than the beginning on an empty stomach to try to mitigate to the extent you can that transient hypercalcemia effect. Chris Kresser: Absolutely. And just to be clear, I’m not advocating against supplements. I use them extensively in my practice, but I think number one you need to kind of have us have a strategy for supplementation. I break it into two different categories, therapeutic and maintenance. Therapeutic is to achieve a specific goal, take supplements for a specific amount of time to achieve a specific goal, and then maintenance is augmenting nutrients for whatever reason that can’t meet our need through diet alone. I am concerned about some of the supplementation practices that I see out there, and another example above and beyond calcium and potassium that we’ve just been talking about is antioxidant supplementation. When the research started to show that antioxidants that are found in things like red wine and brightly colored vegetables were beneficial, then of course the supplement companies all of a sudden started to get excited about antioxidant supplements. But when you look at the research on many antioxidant supplements, it’s found that they don’t have the same effect as antioxidants in food, and in fact they actually can increase the risk of cancer and heart disease in some cases. That’s because antioxidants are really more like pro-oxidants. They have a hormetic effect, they upregulate our body’s natural or endogenous detoxification response, that’s how they exert their benefit. But if you use too high a dose of something that is a pro-oxidant, it doesn’t have an antioxidant effect anymore, it has a pro-oxidative effect. There are just a lot of concerns or things to consider when you’re taking supplements, and it’s not to say that they don’t have a value or play a role, and I know that you agree with that but just that they’re not harmless either. Chris Masterjohn: No. And antioxidant supplements generally are not even targeting the entire oxidant system in the right way. I mean, one of the centerpieces of the antioxidant system, for example, is glutathione, and the factors that are impacting your glutathione synthesis are things that are as simple as your protein intake, for example, and protein is a great example of how you’re going to get that from a multivitamin, so there’s a lot of ways that you just can’t get around the need to eat well. Chris Kresser: All right. Let’s talk a little bit about the Nutrient Cheat Sheet. I was probably one of the first people that bought this when you put it out because this is my work, I do this every day. I probably know a little bit more about it than most people and yet I still found it to be invaluable to have it all in one place because previously I got it in this file over here or this database or whatever, I have a lot of it my head, but just to have one single resource to look at and say these are the nutrients that we need to be thinking about for myself and then of course all my patients and these are the food sources of these nutrients and these are the considerations or things that you have to think about in terms of these particular nutrients, things that interfere with their absorption or conditions that require more of that particular nutrient. Here’s what we know about how to test for this nutrient using modern laboratory testing, both conventional and maybe less conventional. Just to have that all in one place and written in such a way that both an experienced clinician and a layperson can understand was super, super valuable, and I just keep it open in my PDF program. It just sits there on the tab because I refer to it so much. I just want to say thanks. I can only imagine how much work that was to put that all together. Chris Masterjohn: Yes. It was incredible. To be honest, I unfortunately spent my whole Christmas break. When I visited my family for Christmas, I was expecting to be done with it, and I wasn’t. Chris Kresser: It’s hard for me to let go of projects like that if they’re not finished. It’s like a dog with a bone. I think you’re a bit like that too, from what I’ve gathered. Chris Masterjohn: Yes, yes. Having it all in one place is the key thing. But the funny thing is just in the back story. I had a colleague who suggested that I produce something like this because he says, “I’m going through your podcasts and trying to find information,” and so on and so forth. My first instinct was to have someone on my team start pulling the recommendations that I’d already put out in my podcast into a spreadsheet so I can start working on this, and she’s like, “I can’t find this in this episode,” and I’m like, “Wait, I can’t find it either.” I realized for myself that I need something like this, and in fact I’m probably one of the biggest users of my cheat sheet because it’s the easiest way to find what I concluded, right? I have a good memory but it’s … but none of us have all of the details always in our mind. Chris Kresser: I refer to my own ADAPT training in that way sometimes too. Chris Masterjohn: Yes. This basically breaks down how should you go about starting to analyze your nutrition depending on the resources that you have available. There are kind of three ways. The comprehensive approach is when financial resources, insurance coverage, or whatever, for the lab testing would not be limiting for you. In that case, you would do a comprehensive lab and urine screening, you would do a comprehensive dietary and lifestyle analysis, and you would do a comprehensive screening of your signs and symptoms. Then there are two other approaches, which I think most people would fall into one or the other. The person who’s maybe the high-powered executive with a huge income and no time falls into the category of they need to save time, and for them I would say you cough up all the money for the comprehensive testing, but you don’t do dietary analysis until something drives you to do it. Let’s say you did the testing, you go through the signs and symptoms, and if everything points you in the same direction, then you just follow that direction. But if it comes at a point trying to decide between two critical action items really requires you to do a dietary analysis, that’s when you do it. And then for most people, I think they fall into the category where they do have enough time to do diet and lifestyle analysis and to do signs-and-symptoms analysis, providing that they set their priorities, but they should be saving their money for when the testing is really going to make a difference. One example I like to use that I think really illustrates where testing would wind up being really important is, let’s say, imagine you have a woman who has the genetics for hemochromatosis and doesn’t know it and because of the amount of menstrual fluid that she loses is lifelong predisposed to anemia. The signs and symptoms that you would get from iron overload and anemia, many of them overlap, like fatigue, for example, could be in either of those cases, and there are some differences in them, but a lot of them, major ones overlap. You could have this person who, for a huge portion of their life, knows instinctively that when they eat more red meat, they feel better, and so their reaction to what they perceive as the signs and symptoms of anemia is to eat more red meat and get their iron levels up, but then that person has a sudden change in their menstrual flow, maybe they became menopausal, maybe they developed amenorrhea, whatever it is, suddenly their hemochromatosis genes are much more relevant than their menstruation to their iron status and they are now predisposed to iron overload. Well, if that person doesn’t do the testing and just goes on signs and symptoms, they’re going to say to themselves, “Whenever I feel like this, I need to eat more red meat,” and then they’re just going to feel worse, and they’re going to say, “I must not be eating enough red meat,” and they double and triple down on it. That’s one of many examples where you would have to do the right testing because it makes the difference between one, like two opposite actions where, depending on whether you’re right or wrong, the action could either be the solution or make the problem dramatically worse. In a case like that you really need … and I’m sure you can think of a dozen other examples where you would do testing, but whenever it makes a difference in your action, then having that knowledge is more important than whatever the monetary cost of the test is, and that’s when you definitely do the testing. Chris Kresser: Absolutely. And the advice on testing is very thorough. It’s exactly the same kind of testing we do in our practicing and can be helpful. There are also some nutrients, Chris, that it’s not very easy to test using our current laboratory assessments, like calcium. Can you say more about that? Chris Masterjohn: Yes. Calcium is tricky because when you look at calcium, phosphorus, and vitamin D they’re so intimately intertwined that it becomes very hard to distinguish between, particularly, vitamin D deficiency and calcium deficiency. Vitamin D, yes, it does hundreds of other things, but the main thing that impacts the amount of vitamin D that’s circulating in your blood is your need to maintain normal levels of calcium, and it’s critical to maintain normal levels of calcium in your blood because you can develop serious neuromuscular conditions. You could develop tremors and you could develop seizures if you don’t maintain normal levels of calcium. Let’s say you’re calcium deficient, your body will use up more vitamin D in order to bring the calcium level back up to normal. If you measure the vitamin D levels and the calcium levels in the blood, you see the difference in the vitamin D. You don’t see the difference in the calcium because your body sucked up all the vitamin D in order to make the calcium levels normal. How do you know whether you’re dealing with a vitamin D deficiency or a calcium deficiency? Well, one of the things that I recommend is some additional testing. If you look at the calcitriol, or the 125 form of vitamin D, the higher that is, the greater the probability that the problem is calcium rather than vitamin D, but you really can’t get away from a proper diet and lifestyle analysis in this case. If someone has the signs and symptoms and blood tests that look like they could be either, you have to look at things like, does this person get outside for sunshine, or are they using tanning booths? Are they supplementing with vitamin D? Are they eating fish? Are they taking cod liver oil? If they’re not doing any of those things, then they probably are vitamin D deficient, but if that person is doing one or more of those things, let’s say, they’re eating fatty fish. They’re always going outdoors at noontime. They go out for a walk and they have enough clothing off that they’re getting significant sun exposure, it becomes less likely that the person is vitamin D deficient. If the person is not consuming any dairy products, not consuming any bones, not consuming many green vegetables, it becomes highly probable that they’re calcium deficient. That’s an excellent example where you really need to look at the big picture and take all the evidence into account. Chris Kresser: Yes. That can be challenging even for people who are professionals and who do this. Chris knows that I sent him several case studies over the past year that were not easy to figure out at first glance. It can get complicated, but the cheat sheet makes it vastly simpler and easier to figure out. It’s got a great index of signs and symptoms so if you want to kind of narrow your efforts and get started more quickly, you can just look at your symptoms, and you’ll start to see some patterns emerge, typically, when you do that. If you look at your eight symptoms and are all eight of them mention the deficiency of one particular nutrient or two, then obviously you’re going to focus your attention there, so that’s very helpful to have that cross-reference. Chris Masterjohn: Even that index was so difficult to make. I had my assistant work on it for a week and then I spent like a week at it again. Chris Kresser: I don’t doubt it. Indexes are incredibly time consuming because you have to cross-reference all of that content. For that reason they’re also incredibly valuable because they allow you to visualize the information in a way that’s a lot more practical for people who are suffering from those. This is, I would say, definitely one of the top five purchases in terms of improving my own health and also my work as a clinician. I think everybody should basically own a copy of this to be perfectly frank, and where can they get it, Chris? Chris Masterjohn: They can get it at chrismasterjohnphd.com/chriskresser. That will go to the page that will welcome you and tell you what I’m about to tell you now, which is how to get the discount. From now through midnight Eastern Time on March 26, if you apply the discount code CHRISKRESSER into the box for it after you add it to your cart, you hit apply, you will watch the price fall from $30 to $25, and as long as you purchase it in that time period, CHRISKRESSER will get you that discount. Chris Kresser: Wow, cool. Thanks Chris. I didn’t know about that, but I think my listeners will really appreciate that, and it’s a no brainer, folks. I hope you’ve gotten the memo in terms of how many issues there are when it comes to meeting nutrient needs, and it’s not as simple as just eating a nutrient-dense diet. I can tell you over the past couple of years, I’ve been doing this work now with patients for almost a decade, and the more I do it, the more I come back to the basics. It’s just become even more clear to me that it’s pointless to focus on some of the more complex interventions and worry about the details when the basics are not dialed in yet. Earlier on I thought, “Okay, dialing in the basics means eating a healthy diet, getting enough sleep, making sure you’re moving, and that is true. Those are all super important, but dialing in the diet and nutrient needs turns out to be a lot more complex than any of us would like it to be. That’s the truth. I mean, I think we’d all prefer that we don’t have to do this, but preferring something to be true and it actually being true is a different thing altogether. The reality is, this is the world we live in and these are the challenges we’re facing, and since I’ve started to use this myself in my practice, I’ve seen a number of recalcitrant issues that were very difficult to figure out, even with advanced lab testing, that just resolve on their own from meeting nutritional needs, and that makes sense. I mean, these are the nutrients that fuel all of the processes in our body, and if we’re not getting enough of them, it can lead to all kinds of problems that can be really hard to figure out. Chris Masterjohn: Absolutely. Thanks, Chris. Chris Kresser: Well, thank you again. Thanks for coming for your fourth appearance on Revolution Health Radio, and I look forward to the fifth. Chris Masterjohn: Always a pleasure. Thanks for the great podcast. A few comments. Another note is that men and women from the US underreport considerably their energy consumption—on average men -281 kcal/day, women -365 kcal/day (Archer et al. 2013). So the actual prevalence of inadequate nutrient intakes is lower than reported. Also, the values in the table from the EWG came from an article by Fulgoni et al (2011). They are the EAR (and AI for potassium and vitamin K), not the RDA. I’m sure you know this, but the EAR is used to assess the prevalence of inadequate intake at the population level and the RDA is the aim for individuals. Additionally, in the article, a distinction is made between the population prevalence for naturally occurring (from food), + enriched/fortified, and + dietary supplements (Fulgoni et al 2011). So the prevalence given by the EWG are quite a bit higher then when including fortification and supplementation. Other note: Inadequate intake and deficiency of vitamin B12 is ≤ 5%. Prevalence when considering naturally derived dietary sources of folate is 90%, but < 10% when including fortification and supplements and < 1% according to biomarkers. Very interesting… helpful… a little confusing. I say, eat your grass fed liver, love the bone marrow and egg yolk, and always make sure that you have wild fish eggs around. Our early ancestors never had access to a rct or a nutrient panel nor would they had even known to care about the very few known “nutrition facts” that appear on labels today. Fortunately for us, biology has figured out an elegant solution to keep us healthy and happy. It’s hard to go wrong when you consume the things that our DNA expects… true nose-to-tail eating, bone-in small fish, varied in-season veggies (or the fermented varieties) and wild nuts and seeds is where it’s at… well… sort of… there’s always more to the story, isn’t there! Regarding the comment at the 29m mark, why would the bio-availability of calcium in spinach impact the absorption of other calcium in other foods? For example, phytates are often cited as “anti-nutrients” but, doesn’t this mean you won’t absorb as much of it’s nutrients.. not that it will bind to nutrients from other sources if taken together? Or, for example, if coffee is a diuretic, you won’t lose more water than what you drank in the coffee, right? Can you give a recommendation on how to get enough potassium then if supplementation isn’t optimal? I live in the desert so I sweat a lot, I exercise, and I’m breastfeeding so I assume my needs are very high (maybe 10-12g??? ), but I’m wary of supplements for the reasons you mentioned. I add a gram or so to water in the form of a “low sodium salt” or “light salt” when I work out and get some in the prenatal vitamin I take. Any tricks to this? Purchased! Thank you. This will be so helpful. I was very lucky to find my uncommon individual nutrient requirement. In order to manage my Orthostatic Intolerance, I increased my daily added salt intake from 1 (5ml) teaspoon to 3.5 teaspoons. My poor digestion symptoms – gastric re-flux, acid burps, slow transit times and difficulty to gain weight – all disappeared within a week. I am seeing this error when I try to apply the discount code for the cheat sheet. Is Red Palm Oil an acceptable source for vitamin A? Did not see mention of Vit. K2 except where “concept of nutrient synergy” was mentioned. Probably… Chris Masterjohn has previously remarked that Red Palm Oil has a higher conversion (up to 25%) to active preformed vitamin A (retinol). Yes, I’m totally biased, but it still makes total sense to incorporate grass fed liver once or twice a week. Most of us know that we should be doing this… we know that we should be eating more organ meats (not just liver) but we’re not. Supplement companies (mine included) make grass fed organ products like liver, heart, kidney, pancreas, spleen, bone marrow that come in capsule… it’s still 100% food, less the moisture. Very informative. It was great to listen to all the reasons that our nutrient requirements might differ or vary. Looking forward to seeing what Chris M has put together. I empathize that it’s difficult to figure out all the pieces of the puzzle and appreciate the efforts of professionals like the two of you.